Alignment, Tire rotation and brake inspection. Includes: Installation of wiper blades. Includes: Full Synthetic Lube Oil Filter service. Available on most INFINITI vehicles. 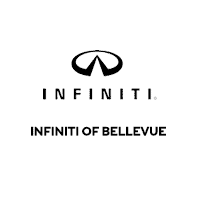 Includes: Synthetic blend oil change, new filter, multipoint inspection, car wash.
****Valid only at INFINITI OF BELLEVUE. May not be combined with other offers, INFINITI vehicles only. Coupon must be presented at the time of write up. Tax, shop supplies & environmental fee excluded. Not all vehicles qualify. Available on most vehicles. See your service adviser for details.